Use an existing auxiliary heater as parking heater. 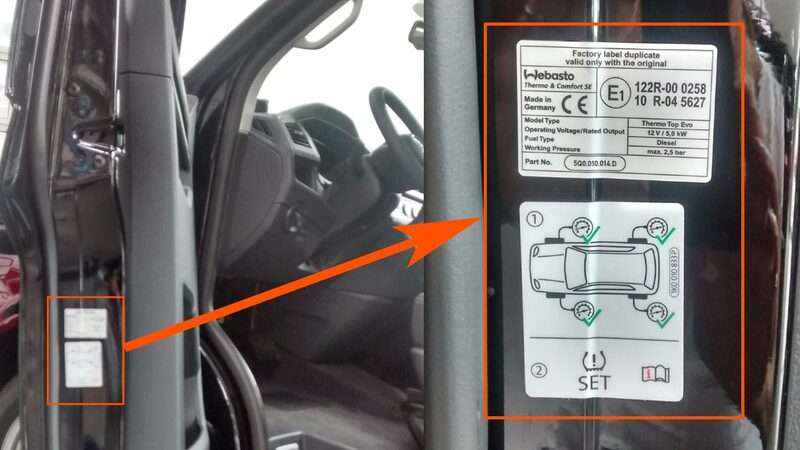 Did you know that many modern cars already have an "auxiliary heater" installed which you can easily upgrade to a parking heater? What does an auxiliary heater do ? Modern engines are highly efficient. At low temperatures, the engine waste heat are not sufficient to heaten up the engine and the passenger compartment fast enough. So many models already have a fuelled heater installed which is often the same type as used for parking heating. The main difference are the activation conditions. An auxiliary heater is only switched on when the engine is running and the temperature is below a certain value. How does the heater upgrade work ? Many workshops offer the upgrade of the auxiliary heater. 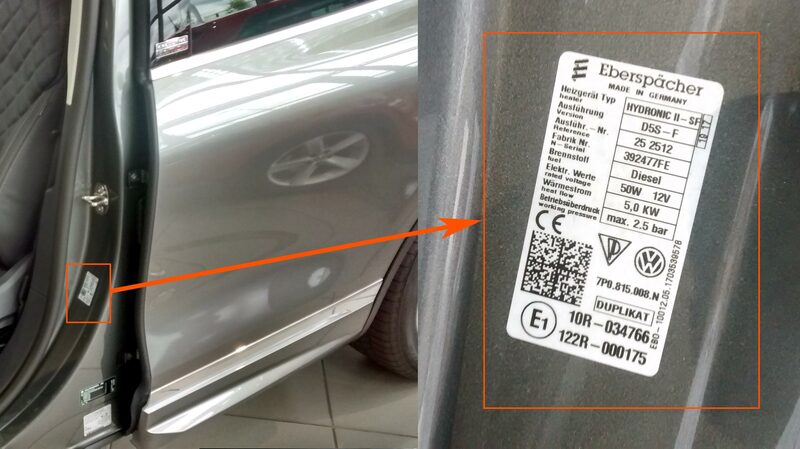 The most common way is to update the software of the heater to activate the parking heater function. However, you can also use our upgrade kits which you can install with some basic skills by your own. Usually, you don't have to upgrade the software of the heater. If a specific model requires an update, the kit contains the CD with the software as well as our diagnosis interface which you can still use afterwards. Does my car have an auxiliary heater ? 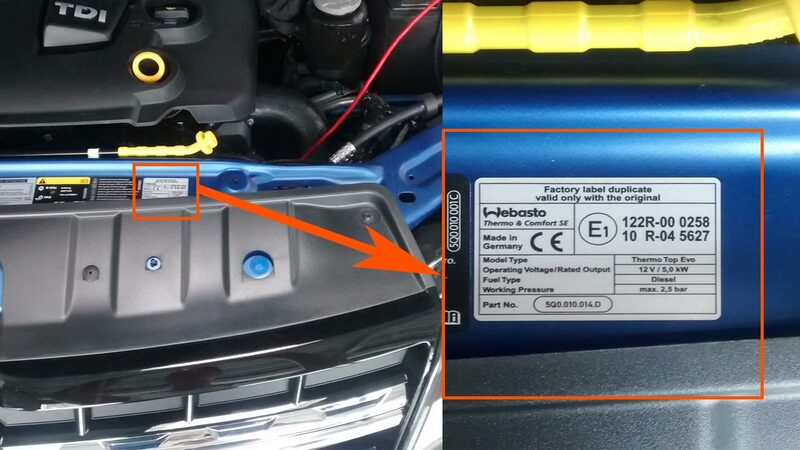 If your car has an auxiliary heater, you will find a dublicate of the heaters typeplate either at the engine compartment, the left-hand pillar or at the driver door. 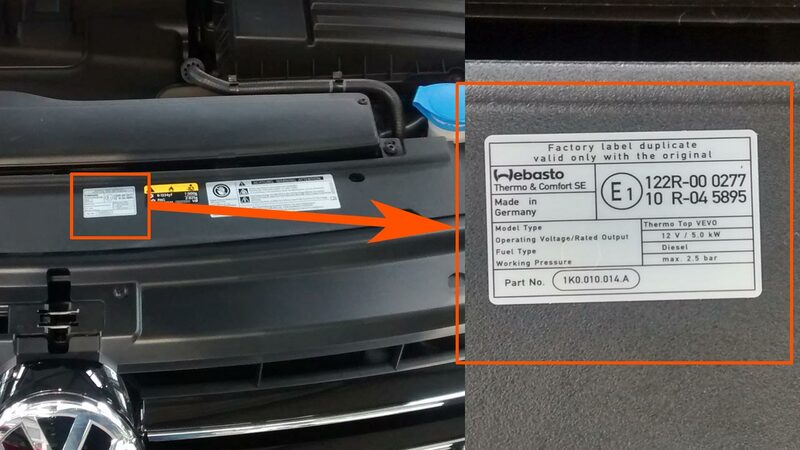 The most common heaters are manufactured by "Webasto" or "Eberspächer".